Pet headstones,pet grave markers,pet memorial markers,stone etching,glass etching. 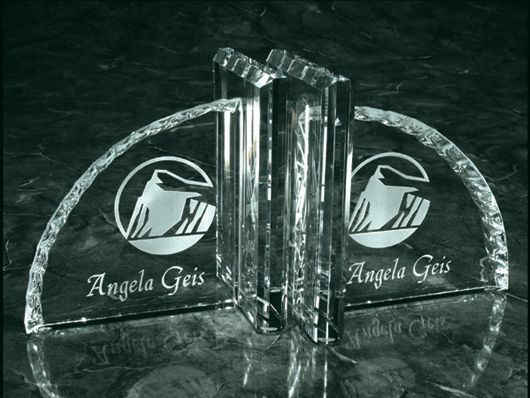 At Artistic Etching we offer fine custom engraved awards and gifts. We feature a large selection of : Achievement awards, crystal corporate achievement, pet memorials, wedding gift sets, curved glass, toasting flutes, decanter sets, coffee mugs, etched glass, custom etched wedding gifts, custom etched glass, anniversary gifts, glass awards, crystal wine glasses, crystal picture frames, crystal sports balls, crystal sports trophies, paperweights, prisms, barware, clocks, stemware, flutes. 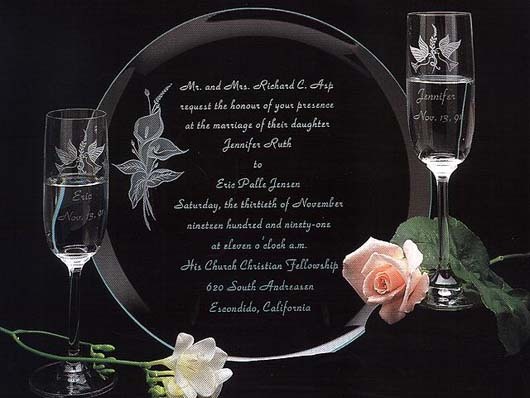 Custom etching can be done on crystal, granite, marble, jade crystal, glass, 24% lead crystal or stones. 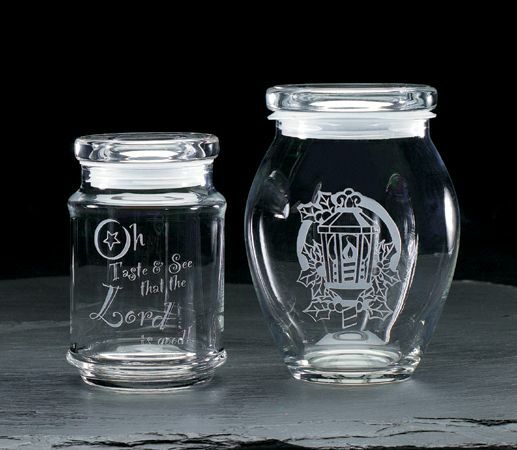 For Weddings and Anniversaries: Bridesmaid gifts, groomsmen gifts, toasting goblets, wedding invitation on curved glass frames or gift sets, champagne flutes, crystal boxes, beer mugs, barware, heart box, engraved wine bottles, thank you presents for parents. For Newborn gifts:Baby glass picture frames, Christmas ornaments, suncatchers. On most items we can include the baby feet from the birth certificate. 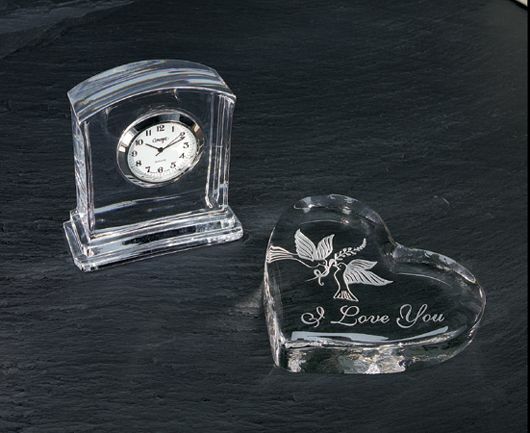 Corporate gifts: Book ends, pen sets, crystal boxes, round paperweights, recognition plaque, curved bevel glass frames, mugs, crystal eagles, rulers, prisms, name plate, clocks, corporate trophies. Ask about our special retirement gifts! Pet Memorials: Garden pet memorials are engraved on stones found in the Coeur d'Alene River in northern Idaho. Create a beautiful lasting memorial for your pet. Customize your stone with a heart, an animal silhouette, or dog, cat or bird footprints.